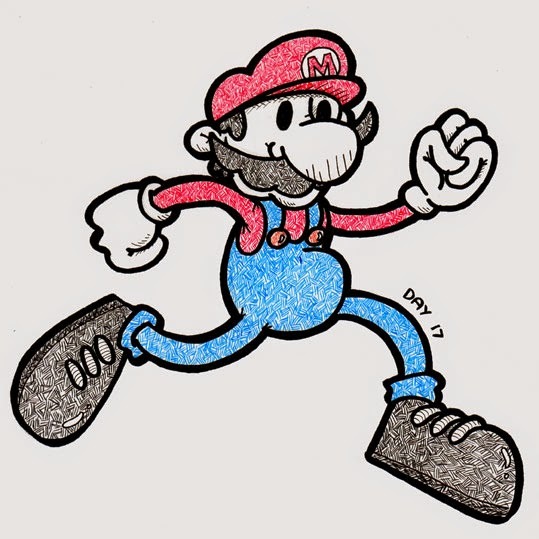 Today I once again combined to of my favourite things; drawing and video games, especially Mario. I’m a massive Nintendo Fanboy, have been since I was a kid and probably always will be. What I did for this one was sketch it in pencil then I did all the outlines with a Sharpie and then I did all the coloured hatching (I can’t remember what this style of hatching is called) using a Bic RS2 Finepoint ballpoint pen. I hope you like it, I’m really happy with how it turned out.